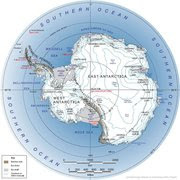 The South Pole: Solo but not Alone: Solo but not Alone…..How does that work??? As I look back over my solo expeditions, the cycle rides, the solo sailing, and sea kayaking, I do know that I never felt totally alone, there was always this feeling that I had others with me, and the blogs like this one, contributed a huge amount, bringing with it a sense of team, and camaraderie that I find quite exceptional. Almost without exception, before each of these expeditions I always wonder who the blog is for and whether they provide the benefits to you the followers? From the recent Yukon Canoe trip with Imitiaz Moosa (http://theyukonblind.blogspot.com/), my amazing 2010 Canada to North Pole trip (http://canadatothenorthpole.blogspot.com/), the cycling from Cairo to Cape Town (http://blog.mailasail.com/howfair), to sailing Solo across the Atlantic (http://blog.mailasail.com/howardsolone), each expedition has been quite different, and will appeal to different people in different ways, but for each one I try to bring you right into my “now world’ of the adventure, in the hope that this will be both entertaining, inspiring and in some way connect to your sense of adventure and human endeavour. Are the blogs for me or for the readers? This is a question I often debate with myself. There is no doubt that capturing the daily trials and tribulations of these the adventures in a way that adds value to your reader experience, provides me with a very valuable increased appreciation of my adventure experience. It is all too easy to just live the now experiences, and move from one to the next as the adventure days roll on, but never really reflecting on them nor drawing meaning from their collective value. 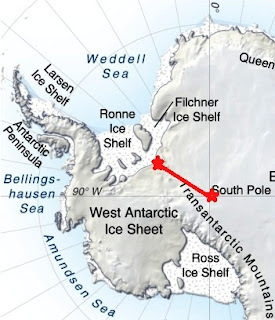 I know this solo trip to the South Pole is going to be very demanding on me, probably the most demanding expedition I have ever done and I wonder if I will have the capacity at the end of the day to write a blog? But as I think through the benefits of the blog, and almost every day I get almost instructed by others "You must have a blog for this one", I know I must be committed to the blog and try and deliver my very best, not just for YOU but for ME. It’s in this strangely indirect way, that you help me experience my adventure in a deeper way than I would have without you with me. Then there is the support from your participation in comments that are written on the blog, you have no idea how motivating it is to receive these while in my world. It gives a perspective, and truly takes Solo but not Alone to an new level. This blog will be largely about a struggle, my struggle, I am really not sure I will make it to the Pole, only 10 have every done a solo, unsupported, unassisted expedition from the Antarctic coast to the South Pole, so it’s far from easy and success is definitely not guaranteed. There maybe times of blog silence, where my capacity is over extended so, but I will commit to post at least a daily short, purely factual SMS type update that will plot my position on Google Earth, and you can follow it at: http://blog.mailasail.com/southpolesolo. So please feel free to join me on this amazing challenge, in the specialness of Antarctica, and in the process hopefully we create a special experience amazing that we can both savour. 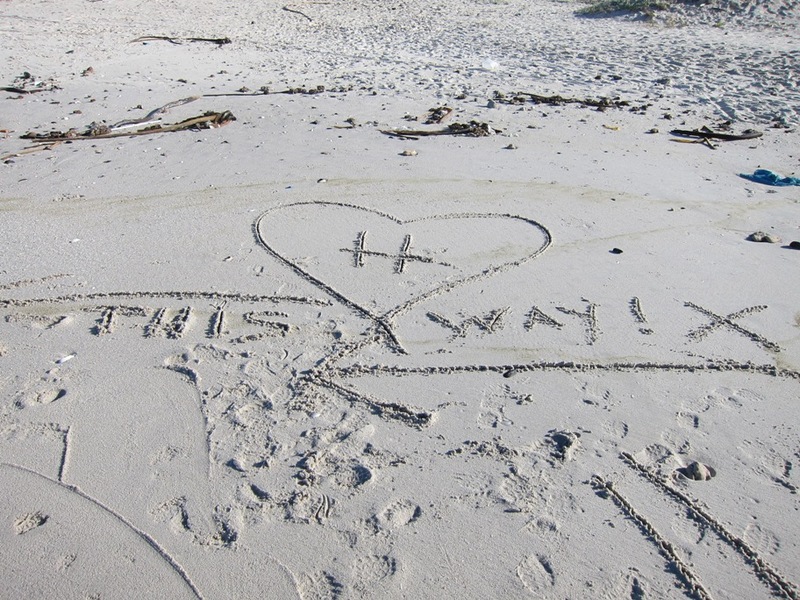 Ruth's message in the sand for me while we were training on Muizenberg Beach!